Easter is about coming together with family and friends, treating yourself to good food and drinks! Celebrate your holidays with Latina and enjoy great food in a welcoming setting, live music with a unique Brazilian twist, all you can eat and all you can drink options. 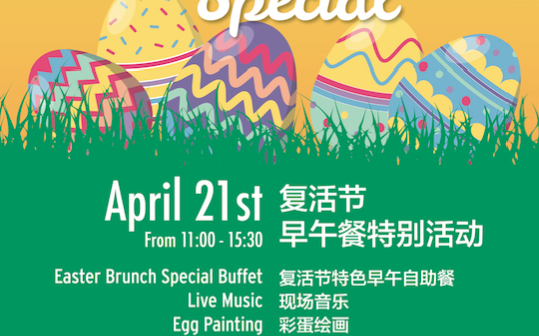 Brunch guests will also enjoy complimentary fun-filled children’s activities, including Easter egg hunts, face painting, clowns and egg painting. Easter brunch includes a special buffet, from appetizers to desserts; the menu features the first hints of spring.